The controversy of mechanical cheating in professional cycling is building up like an orchestra crescendo. Like the beginning of Lance Armstrong's infamous doping saga, reporters in Europe are mostly driving the exposé of this recent development. It sounded like a ridiculous claim to many until for the first time this year, a female Belgian rider was caught racing professionally with a motorized bike. Therefore, further attention to this issue is validated. 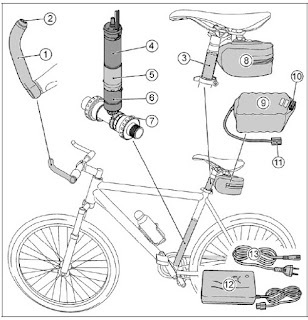 6 years ago when I explored a newsbreak by Rai TV's Davide Cassani on Cozy Beehive (see link), I looked into a power assist e-motor called 'Gruber Assist' just to find out the state of the art in pedaling assists. I estimated then that the 900 gram motor-control unit powered by a 1000 gram Li-Mn battery could supply a nominal 135 Watts for an hour from a 4.5 Ah capacity battery. There is a sleeker version of the Gruber Assist called 'Vivax Assist' which can reportedly supplement 110 Watts with a 6 Ah capacity battery. 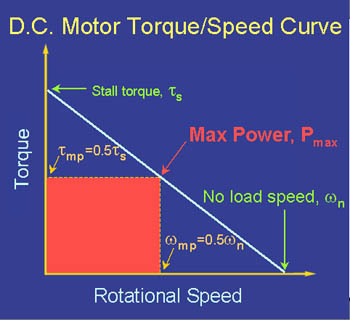 The motor’s maximum power can be calculated with a stall current and a nominal voltage and is about 50% of the stall torque for DC (see illustration on left). On assuming that Gruber's maximum short-term power was close to 200 Watts, it sounded like an appreciable supplemental power to use on a decisive cobbled climb. Such was the allegation from Cassani atleast. News broke a few days back that two French reporters, using infrared cameras, were able to track signals of "hidden devices" within certain bikes at the Strada Bianche and Coppi e Bartali races this year. No cyclists were officially named to the public. Five or more bikes were reportedly found emitting heat signals, with 5 of them at the seat tube and 2 at the rear hub and cassette. At this point, the curious question might be : what is an estimated peak power necessary in cycling, for example, in an attack? Secondly, what are the required forces and crank torques? With those questions answered, one could begin an attempt to look for a motor. These questions was explored in a rough but fun estimation in a post titled Anatomy of a Cancellara Attack. As the title suggests, I was interested in plucking apart the physics behind a Cancellara attack using a video playback analysis technique. The focus was on a decisive segment in the 2010 Paris Roubaix when Cancellara attacked a pack of breakaway riders including another venerable specialist Tom Boonen. Cancellara would go on to win that race. The 1190 Watts was reasonable for a Cancellara attack (infact just before this race, he had reportedly put 1400 Watts in an attack on the Muur at the 2010 Tour of Flanders). 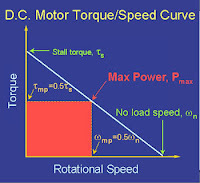 To drive this power at the estimated 100 rpm required an estimated 92 N.m of crank torque. Some years back, Andy Coggan Ph.D had shared plots from his "quadrant analysis" in which raw power meter data files were used to extract average effective pedaling force and circumferential pedaling velocity, which were then plotted on an x-y axis. Being a lover of all things technical in cycling, I quickly saved these for later reference and now they become useful. The plots presented below show the signature of the preferred neuromuscular response of a rider to the stress of the riding scenario. Over several thousands of pedal strokes, a map is drawn out on the pedal force vs pedaling velocity chart specific to the racing scenario. The first plot is from a flat 40k TT at an average power of 294 W at 80 rpm average. One finds variations are less and force is more or less concentrated around 200 N for majority of the time. Using 200 N yields a torque of 35 N.m using an assumed 175mm pedal crank. A high value of 550 N in the plot corresponds to a torque value of 96 N.m. 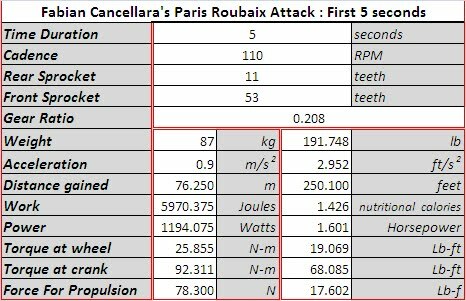 This comes very close to the torque number from my own calculations into Cancellara's Paris Roubaix attack (see above). The second plot is from an actual road race on flat to rolling terrain at an average power of 250 W at at 78 rpm average. Here, unlike the sustained efforts of the TT, pedal force shows much more variations. In this plot, observe there were excursions in pedaling force upto 600 N and beyond. 600 N at 1.5 m/s pedal velocity using an assumed 175 mm crank length is still only 930 Watts at 105 Nm of crank torque. From the above discussion, one finds that crank torques in excess of 100 N.m are visible on a rider's pedaling signature, so the earlier estimate is not unreasonable. For the race winning attack at the 2010 Paris Roubaix from Cancellara, the first few seconds required 102-103 N.m at 110 RPM (assuming a 175mm crank length). Now what remains is to find a suitable motor able to deliver approximately 100 N.m. My understanding of the precision motor market is limited, however there are very compact motors and planetary gearsets available. Below is a preliminary selection for a 4 pole x 200 W brushless DC motor. At 60-65 mm in length and just 30 mm in diameter, it's a tad smaller than an oversized road bike seat tube. At a stall current of 171 A, it produces a maximum short term power of 171A x 36V = 6000 Watts, providing safety margins for cycling application. Since nominal motor torque is low, the motor has to be coupled with a precision ground gearset to be able to amplify torque at the low cadence of around 100 RPM. My previous experience in planetary gearsets have shown that "planetaries" offer low footprints with low noise generation. The preliminary gearset I could find was 80 mm in diameter. At 93:1 reduction in 3 stages at 70% efficiency, it can deliver a max continuous torque and power of 120 N.m and 410 Watts. Note that I had to go to the biggest gearset in this particular OEM's range to ensure the calculated torque estimate from earlier fell within the range of the device. At 81 mm, I suppose it could fit within the oversize 90 mm bottom bracket area but this needs checking. Finally, a 90 degree 1:1 bevel gear is required on the gearbox output shaft to convert vertical downwards rotation to sideways rotation of the crank. A thorough investigation might yield a more optimal motor and gearing selection than shown below. What is interesting is that my preliminary selection totaled around 4 kg in weight, excluding weight of the battery pack and other required accessories. A 45000 mAh powerbank I recently bought weighed 0.9 kg. So if we added another 1 kg, you're left with a total of 5 kg conservative that the cyclist has to carry. In a world where we have sub 7 kg carbon fiber bike frames, this exceeds 70% of that weight. I'm surprised that a commercial offering, if at all, could deliver attractive specifications within the weight and dimensional requirements of professional cycling. That said, a custom built motor package specifically for someone intending to cheat makes sense. However, a package built in someone's garage could end up producing appreciable levels of heat due to low efficiency, unless the individual(s) making it knew what they were doing. For example, a 200 W motor at 75% efficiency will produce, according to one chart online, 0.2 kW x 250 W/kW = 50 Watts heat loss which is 25% of the nameplate power rating. If this is the case, then using the given value of housing-air thermal resistance of 7.4 K/W and an assumed air temperature of 25 degree C, one expects the temperature of the motor itself to cross 300 degree C. Since the motor is constrained inside a sealed tube, that heat will build up within the space. Motor heat loss increases with efficiency drop. Therefore, the claim that French reporters picked up heat with thermal detectors warrant a full fledged investigation.